Watch Plantar Fasciitis VIDEO here! Designed to fit in all types of lace-up shoes, including sports shoes. Also suitable for work boots. 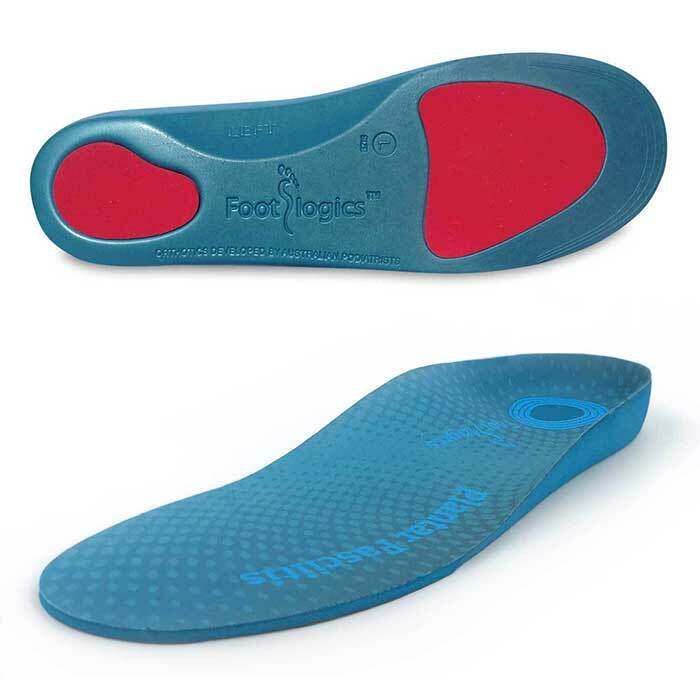 At Footlogics, we know that pain in your feet can adversely affect your quality of life, which is why we’ve developed a range of orthotic inserts and thongs that have been proven to relieve pain and aid mobility. Our plantar fasciitis insoles may be just what you need to take control of your condition and enjoy daily life without experiencing near-constant agony. Thanks to the success of our products, we now sell plantar fasciitis orthotic inserts in the USA, Europe, Canada, South Africa and South Korea. 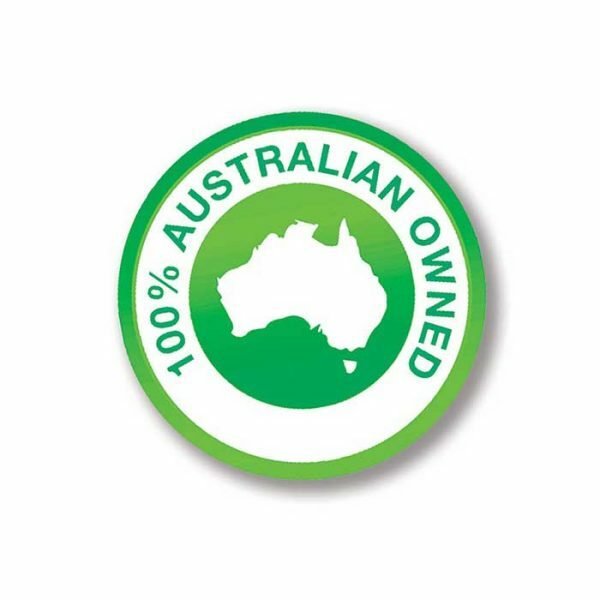 If you’d like to find out why our inserts are becoming increasingly respected and widely-used all over the globe, keep reading below or simply give us a call. If you experience pain in your heel or foot throughout the day, your quality of life could be adversely affected. You may struggle to focus on work tasks, or you might avoid social situations as a result of your painful symptoms. Our plantar fasciitis orthotics inserts can help relieve the pain so that you can continue with your daily life as usual. Call us if you’d like more information on our plantar fasciitis insoles for work. Thanks to being able to relieve your painful symptoms, you’ll be able to push yourself harder and become more active, which could have tremendous overall health benefits. 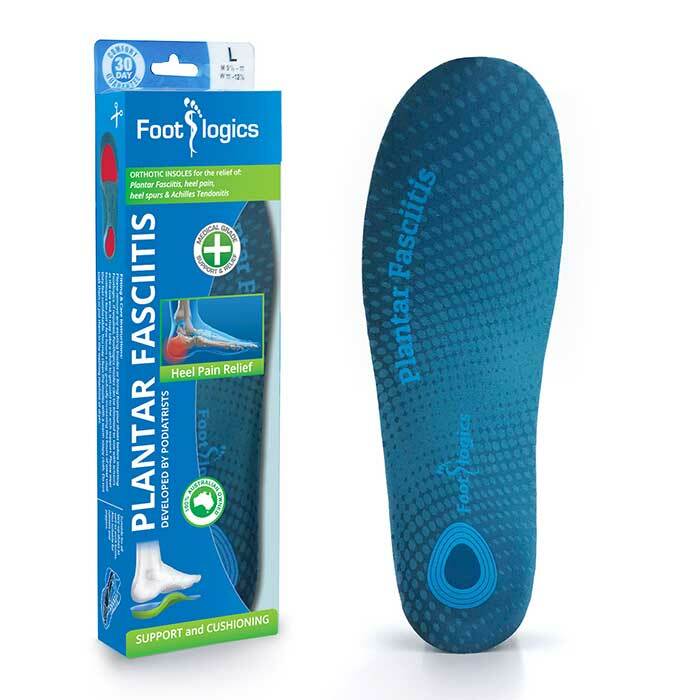 Plus, physical and mental health often go hand in hand, meaning you can give them both a boost by embracing a healthier lifestyle with the help of our inserts for plantar fasciitis. Not only will our shoe inserts for plantar fasciitis aid your mobility and help you become more active, but they may also provide you with the pain relief you need to either start or re-start a hobby you assumed you’d have to avoid, such as cycling, jogging or field sports. If you’d like to learn about our orthotic insoles for sports, don’t hesitate to give us a call. Depending on your condition and its severity, you may be required to take medication or undergo physiotherapy. 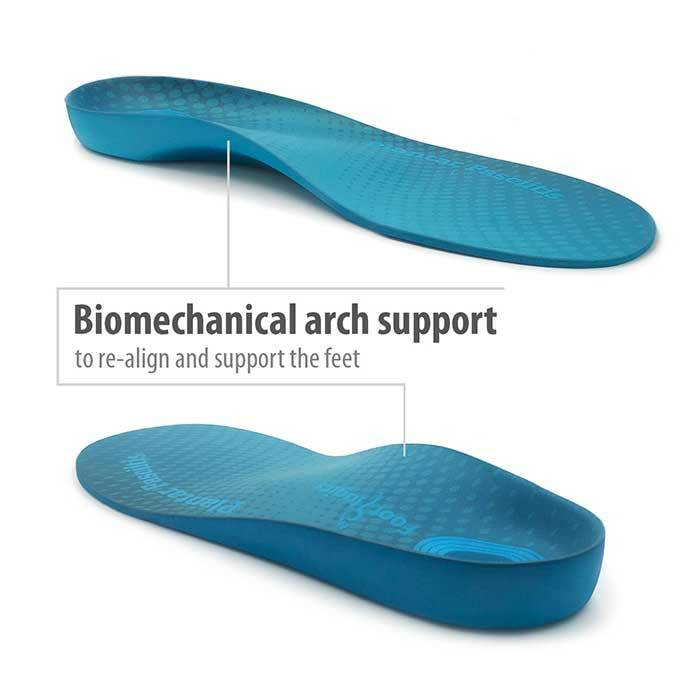 Our insoles that provide arch support for heels could be a useful aid in helping you get on with your treatments. They can also reduce your dependency on medication for pain relief. For a more than affordable price, you could buy plantar fasciitis insoles that offer all the advantages detailed above and more. Read our reviews to find out how our customers have benefited from plantar fasciitis support or contact our team for more information. Why Trust the Experts at Footlogics? 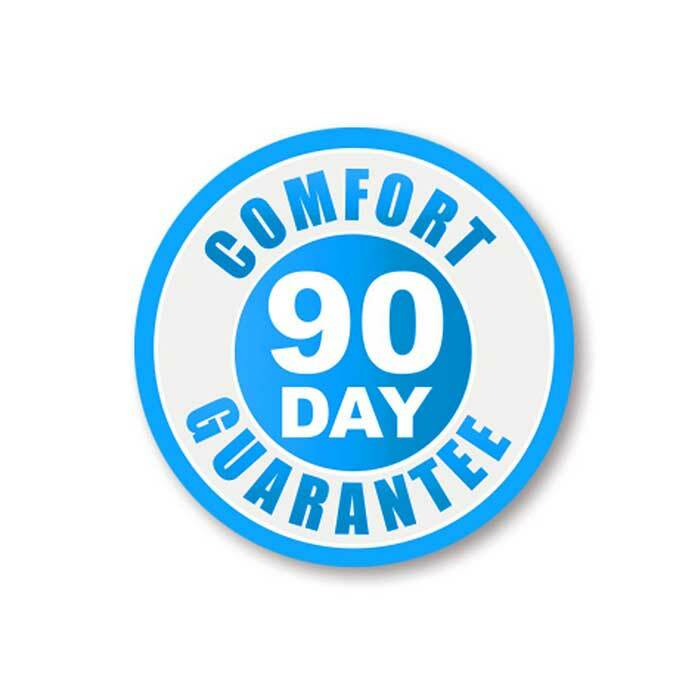 We offer a 90-day, money-back guarantee on all products. If you don’t feel the benefit you were expecting, we’ll give you a full refund – no questions asked. We offer a same-day shipping service on all orders placed before 4pm, and we’ll ship free of charge if you spend more than $100. 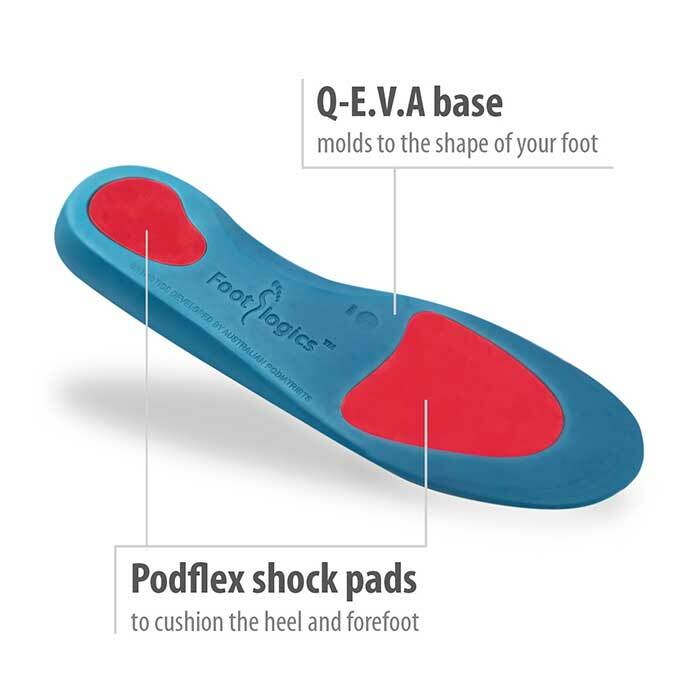 We continually invest in the development of our versatile and highly-effective plantar fasciitis inserts to make sure they remain the standard setters for the industry. Almost all our customers buy the most suitable inserts on their first purchase because they’re designed to be flexible and to fit into any show. They can also aid in the treatment of a broad spectrum of conditions affecting your feet, ankles and heels. Here are some things to think about to ensure you select the right inserts for you the first time. If you need help, we’re only a phone call away. Naturally, it’s important to choose the right-sized insoles so that you can derive the maximum benefit from them. Our size guide provides all the information you need to select the most suitably-sized inserts for your feet. The best way to ensure you make the correct purchase the first time is to measure your foot from the heel to the edge of your big toe. You can then use our sizing chart to select the right insoles. If you happen to purchase an insert that’s slightly too big, you can always trim it down to size without taking away any of the benefits it offers. Alternatively, if your insoles are completely wrong, you can send them back to us within 90 days of your purchase for a complete refund or a replacement. We have a broad range of products that have been designed for specific purposes, from sports to work, so contact us or browse our product pages to find the right insoles for your needs. You might also want to think about which type of shoes you plan to insert our orthotic insoles into – even though our inserts fit into just about any shoe, choosing one that’s designed specifically for your type of footwear is a good idea. Our plantar fasciitis insoles can also help relieve symptoms in sufferers of heel pain, Achilles tendonitis and ball of foot pain, but we also develop footwear support for many other conditions. You may just want to use our inserts to help you feel more generally comfortable even if you haven’t been diagnosed with a condition or suffer from chronic pain. 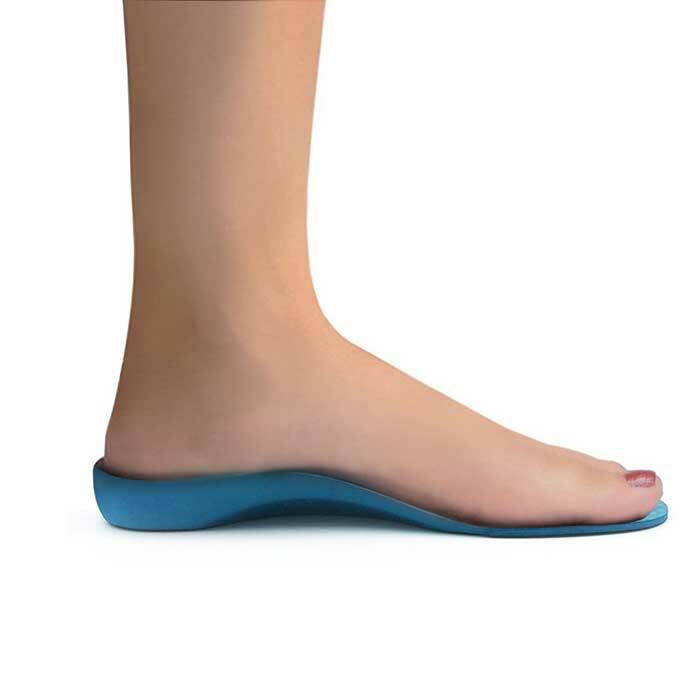 We have a wide selection of inserts and thongs to help relieve the symptoms of conditions including Sever’s disease, over-pronation, lower back pain, fallen arches and Morton’s neuroma. Our foot complaints page can help you determine which of our products are most suited to your particular situation. Of course, we’re more than happy to offer advice over the phone. If you have any questions or want to discuss your particular needs with a highly trained professional, get in touch on 1300 788 119, and we’ll provide more information on plantar fasciitis support over the phone. My heel spur is so much better since I use your insoles for plantar fascitis. I have been surviving on nurofen and ice for the last 3 weeks. My morning heel pain was almost unbearable. It was almost unthinkable that after only wearing these footlogics for one week, the pain has almost disappeared. I’m doing the daily exercises as you told me over the phone and they seem to work as well, my calf muscles are not as tight as they used to be. Thank you also for the great customer service! Simply to COMPLIMENT you on the very fast and efficient handling of this order ! Ordered Friday – delivered Perth Monday , and with delivery tracking too – well done. I have just inserted the PLANTAR FASCIITIS – it feels good and signs of early relief already. Maybe a small piece of advice (helpful I hope) your brochure, which is very good, should have in small print under each of the many Orthotics you are offering, a brief explanation (guide) for what each insert is best suited for. My second set of orthotics. So far, so good! Have been wearing for almost two weeks and experiencing much less heel pain. Thank you foot logics. I had been struggling with Plantar Fasciitis for ages – even to the point of being unable to walk more than 50 metres, and my GP was hinting at surgery, so I gambled and purchased a pair of Footlogics Plantar Fasciitis innersoles. Within 2 months, I was almost pain free, and now, 12 months later, (and 4 pairs of innersoles), I have no pain and the latest scans show absolutely NO NEED for surgery! Am I happy with Footlogics products? Hell, yes! Would I recommend them? Again, a resounding YES! 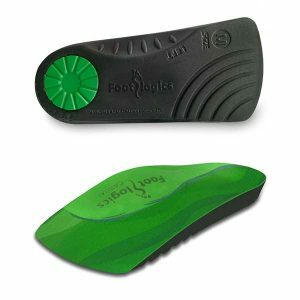 I purchased Footlogics plantar fascitis to try to help my achilles tendinitis. I found it so useful that I have now purchased several more pairs to place in my other shoes and also purchased a pair of the thongs. With these orthotics and some regular stretching I am unable go for runs again without too much pain afterwards. It has only been several weeks, and I am hopeful that the improvements will continue. The thongs are basic to look at, but seem to work very effectively and so I am happy with them as well. At the price, I can recommend that the Footlogics orthotics and thongs are definitely worth a try. Hi I have been using your products for a few years now and rave about them. As a group fitness instructor my life was made very difficult with plantar. Not anymore!! Thank you so much. I wish I had found these Fascia Planter innersoles before I spent $350 on my Podiatrist Orthopedic innersoles. The footlogics pair are working well and I can afford to have more than 1 pair, saving me continual replacing of innersoles. Got hubby a pair and he said they are working well for his heel pain too, and he doesnt convince easily. He actually has flat feet and I have very high arched feet, yet the innersoles have helped us both. I also bought us both a pair of thongs. The girl ones are pretty. I do find the straps a little too loose for my skinny foot, but they are still useable. Thank you for your innersoles. Hi I have been suffering with Plantas Fasciitis for 3 or 4 months, along with 2 steroid injections and using footlogics soles I’m finding I’m able to carry on my daily life without too much pain. The quality of the Plantar Fasciitis Footlogics soles is second to none, that I know from experience of other Brands. Less than two weeks with these it’s still too early to tell if this product is the answer to my woes. But I was impressed enough with the quality and service to order a second pair just days after the first landed. It’s a hell of a lot cheaper than helping a podiatrist buy another beach house! And I love the way Footlogics also includes helpful literature to explain what’s going on with your foot and what exercises to do to complement their orthotic. 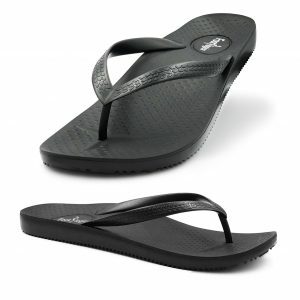 Oh, and also bought the thongs too. Will keep you posted on progress. Perfect. Great support and nothing uncomfortable about it. I tried 1 pair of Footlogic Plantar Fascitis and I had to get another 2 pairs for my other shoes! WOW! 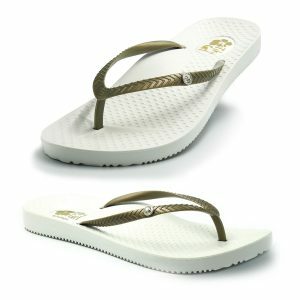 Amazing and better than the very expensive ones from the Podiatrist, can’t wait to order some thongs! I bought a pair of footlogics insoles about 2 weeks ago as I have a heel spur and fasciitis and have been suffering for the past 7 months. They feel so comfortable and have already noticed a huge difference! Consequently, I have bought a second pair of insoles for my other shoes. The online order was so simple and the delivery very fast! Highly recommended! I’ve been suffering plantar fasciitis for over a month. Podiatrist wanted to sell me inner soles for around $100. I found these and so happy. Exceptionally quick delivery from company but awesome inner soles. They have been a godsend. Thank you so much. Love these inserts, can feel the frequency of my pain slowely going down. Very happy with the high quality of the product, service and quick inexpensive shipping. Thank you. So far so good. Got these because a podiatrist told me my current orthotics would do nothing to help the plantar fasciitis as they were the wrong shape. She wanted me to spend $675 on custom orthotics but I thought I would try these first. They are very comfortable so I’ll probably get a few more pairs. These are great. Bought them after reading a couple of reviews and considering my podiatrist wanted me to spend $675 on custom orthotics I thought I’d give them a go. They’re great! Since buying the first pair I’ve purchased another one and the casual fit orthotics as well. Like many who have provided reviews, I too am suffering from plantar fasciitis. 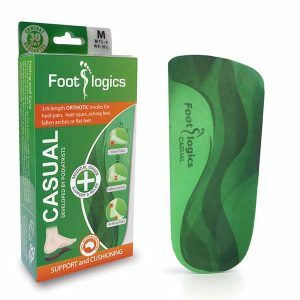 I happened to stumble across Foot Logics and their products through a friend and it’s the best thing that’s happened for my right foot in a long time. I initially bought the PF insole for my sneakers and the Casual insoles and was so impressed I ordered the Catwalk and Versa styles as well. The relief they give my foot is bliss – I can walk again for exercise with little or no pain and I do the recommended stretches daily too! These products are so sturdy and helpful I’ve bought a set of these four products for my best friend who’s also suffering PF at the moment. Don’t think about them, order them!! These are great thongs I suffer with fallen arches & since wearing these no problems at all. I bought my pair last month & was so please I just bought another just in case I need them & also another colour. I ordered them yesterday online & received them today in Tasmania from Queensland. Instant relief from collapsed arches and fast delivery. What else can I ask for? Amazing! Help me out immensely – quick delivery and perfect fit. Super impressed with the quality and how they have quite literally helped me get back on my feet again. I still have a ways to go with my recovery and these insoles will be a crucial part of that journey. And I must mention the excellent two day turnaround between ordering and delivery!! I tried the Plantar Fasciitis insoles post surgery for a Lisfranc injury. I was very impressed by the immense level of comfort and support they provided. So impressed, in fact, that I have now purchased enough pairs to fit out all my shoes!! I will never be without proper support again. I would also like to note that delivery was super speedy. Thank you! I have now purchased my second set of plantar Fasciitis inserts to use in newly purchased shoes. I found that they give me wonderful and almost instant relief from the heel pain associated with this problem. I can recommend them.